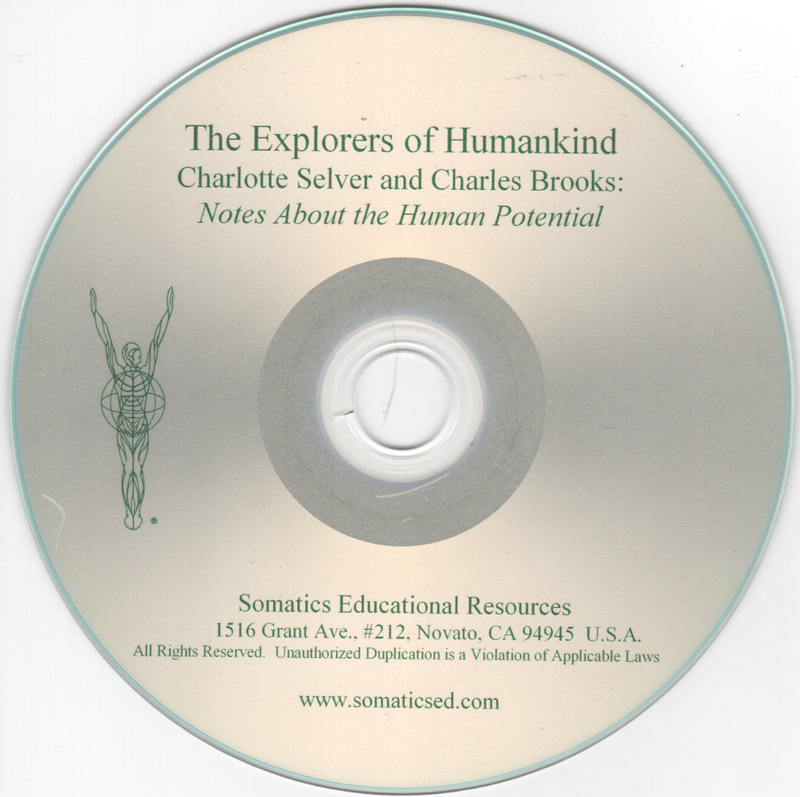 Somatics Catalog - Product Report: "#EXP6"
Charlotte Selver & Charles Brooks: Notes About the Human Potential. One 90-min. CD. From The Explorers of Humankind: "In Their Own Words - Prime Resources" CD lecture series of selected speakers, each describing their own personal vision of human nature and the crucial turning points in their lives and work. Rare documentation of these pioneers of the mind/body field in their own words, recorded live at the 1978 Explorers of Humankind Conference, Los Angeles, California.